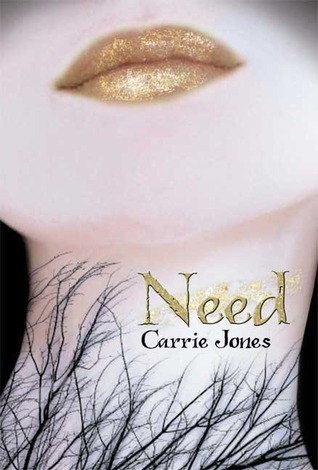 Building A Library: Book Review: Need Series. Synopsis:Zara collects phobias the way other girls collect Facebook friends. Little wonder, since life’s been pretty rough so far. Her father left, her stepfather just died, and her mother’s pretty much checked out. Now Zara’s living with her grandmother in sleepy, cold Maine so that she stays “safe.” Zara doesn’t think she’s in danger; she thinks her mother can’t deal. Plot: It was very much the starting steps to the world. Zara becoming involved in a completely new world. Starting to become a leader. She's almost Buffy of the pixy world if that's possible. It gives us the background without over flowing us with information which is always good in a beginning novel. I managed to follow the story without getting lost which is another plus. Couples: I'm not sure why but Nick and Zara.... they just don't quite bode with me. I prefer the other staring couple but as that's a spoiler I won't post that until I get to Captivate. Overall thoughts: I enjoyed this novel. Not my favourite beginning novel, but an interesting start non the less. Synopsis:Zara and her friends knew they hadn't solved the pixie problem for good. Far from it. The king's needs grow deeper every day he's stuck in captivity, while his control over his people gets weaker. It's made him vulnerable. And now there's a new king in town. Review: Characters: Zara grows a lot in this book. The only down side is that she's so focused on Nick she does tend to leave out everyone else which isn't always a good thing. While I liked the information on phobia's on the first book the second books pixie tips seemed a little flat to me. Plot: The bridge book. The book that lays the start paving works to the end of the series. (if it is a three/four book novel) It very much felt like that. This focused on introducing the second love interest Astley who I do like I find I would enjoy him even more if he'd been introduced in the first book I think. Couples: I prefer Astley and Zara together as opposed to Nick and Zara. I just think if you're willing to change someone to save their boyfriend.... that's a big strength while I think that Nick and Zara may end up end game. Synopsis:Zara and Nick are soul mates, meant to be together forever. Review: Characters: This book is very much another stepping stone to the final book. The books are laying a map in place and the characters are getting more and more loved. I think the reason why everyone seems to prefer Astley is because he seems to be in it a lot more than Nick even though the plot lines are very much there for Nick. Plot: Again another bridge book. However this one felt that it had more purpose to Captivate. It focused on Zara rescuing Nick. Zara becoming the leader that everyone knows she is apart from her. Also having her start to believe it herself. I was slightly disappointed with what happened with Betty as I love her character. As well as Mrs Nix. Couples: Keeping this the same as Captivate I'm very much Team Astley in this novel. Overall thoughts: I'm still not one hundred percent sure what to say without giving endings away. But I am glad that there's another book coming out and I'll be interested to see what happens next. I've been looking at Need but I just haven't been sure about reading it. I might add it to the rainy day pile :) Great review by the way. Great Review. I was glad to get a chance to review Endure b/c I wasn't sure on Entice. The ending left me more confused then ever. I will let you know what Endure is like when I am done!